Combat aérien au dessus de la Corée et du Viet-Nam. premier jeu de la série "fighting wings"
Jet aircraft made their first tentative sorties towards the end of WWII. But it was over the fog-shrouded hills of Korea and the thick jungles of Vietnam that the rules of jet combat were written - rules pilots still live with today. And unlike today, "black boxes" were new and untested. They counted far less than the man in the cockpit. 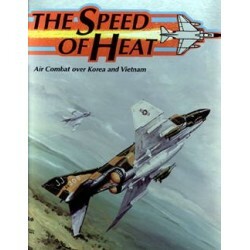 The Speed of Heat is the first offering in the our new Air Power series of games examining jet combat throughout history. This volume brings to life the magnificent strengths and limitations of the early to mid period jets and their weapon systems. Continuing in the tradition of J. D. Webster's earlier designs, Air SuperiorityTM and Air StrikeTM, The Speed of Heat is fully compatible with both of them. 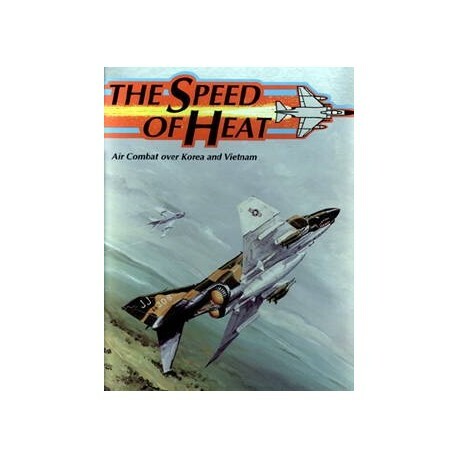 The Speed of Heat comes ready to fly with 6 geomorphic map sections, 240 counters, and a programmed instruction rulesbook to get you off the ground and on afterburners as fast as possible. 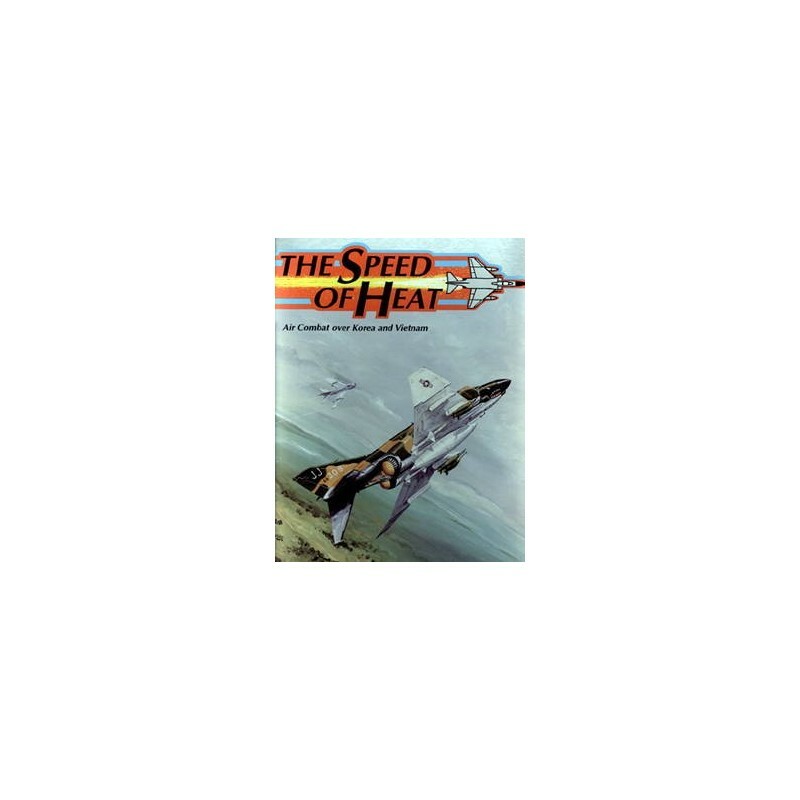 If you're looking for the finest in modern aircraft combat simulation by a master designer, check out The Speed of Heat for only.